Posted January 28, 2019 . Filed under News. train future professionals, to be competent and open to the world of tomorrow, for industry, and academia. lead scientific projects in response to current and future societal challenges. innovate, create new methods, new products, and new services. The visit to the Institut Paul Bocuse allowed me to shape my dissertation topic further. To meet academics working at the cutting edge of food research was inspiring and a very useful opportunity to discuss what my own research might look like. Food for thought! It is difficult to express my feelings in a few sentences about 3-day-trip in Lyon. 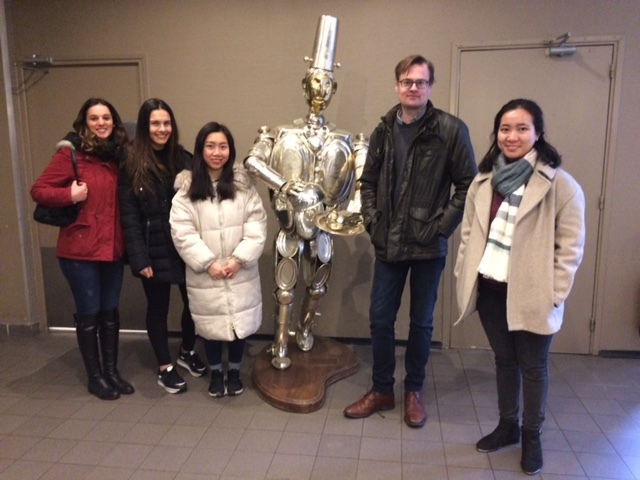 It was an interesting and memorable experience to explore the city’s gastronomic heritage and local cuisine as well as gain more knowledge on food services management from PhD students in Paul Bocuse Institute.